Dr. Clarence Braddock III, vice dean for education and chief medical education officer at the David Geffen School of Medicine at UCLA, has been named chair of the board of directors for the American Board of Internal Medicine (ABIM). Board-certified in internal medicine, Braddock has been a national leader in medical education, particularly in bioethics. 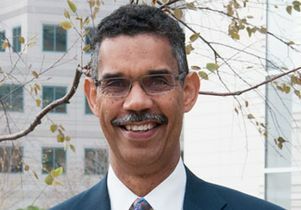 At UCLA, he oversees all aspects of medical education, including undergraduate, graduate and postgraduate medical programs. Certification by the ABIM indicates that internists have demonstrated the clinical judgment, skills and attitudes essential for the delivery of excellent patient care. A member of the American Board of Medical Specialties, ABIM is not a membership society, but a nonprofit, independent evaluation organization with accountability to both the profession of medicine and the public.